We all love beautiful homes. If you are looking for cost effective ideas to decorate your home, you can choose beautiful abstract wall art with unique designs to make space look amazing. Placing unique abstract designs of wall art add elegance and style to your home. Add a splash of color to any space with abstract wall art. Select designs that stir the imagination, and create an interesting ambiance. Exotic and colorful abstract designs add sophistication and class to any design project. 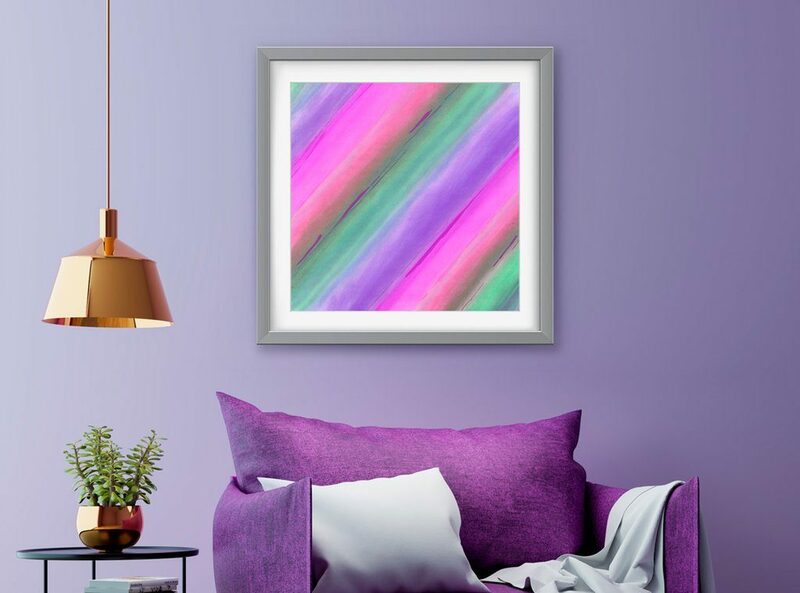 If your room lacks creativity and style, you should look for unique abstract wall art designs to brighten up the area. You cannot just wake up one fine day and think, “ It would be a good idea to hang a painting here!” Before you start looking for abstract wall art designs, you need to take precise measurements of the available space. The general rule is that the art should fit the wall size. For a more visual impact, you can opt for larger sizes. A good rule of thumb is to hang the painting at eye level or else it may feel out of the place. Think whether you would like to stand or sit in the room more often and adjust the level of the wall art accordingly. The art should not occupy most of the space of the entire wall as this can be overpowering. You can hang the painting 6-10 inches above the furniture and ensure that there is some blank space around it. Oversized art is a popular trend these days, but not everyone can afford it. If your budget is limited, you can opt for several small paintings to make your space look great. Group the smaller ones together to create a gallery look. You can also give new frames to your old paintings. The colors of the room should complement your painting. While selecting abstract wall art, think of the color of your walls and make the right choice. You can choose contrasting colors or even a matching shade for paintings. No matter what your requirements and choice may be, make sure that you get the best abstract wall art paintings that make an impact. Create a sense of harmony and beauty with the right abstract paintings for your living room or bedroom. Di Lewis has an exclusive collection of wall art to create every mood. Take a look at the beautiful collection and pick the best designs that match your preference and fit your budget. Decorate your walls with abstract designs and make any space look great. You can choose decorative abstract wall art designs to add beauty and tranquility to your home or office. Di Lewis is known for providing high quality colorful abstract art for living room to complement any space. Look at the large collection of beautiful designs and buy the ones that work best for you to add interest to your home.